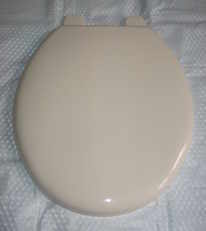 A strong plastic toilet seat finished in Soft Cream with solid plastic hinge and screw bolts. 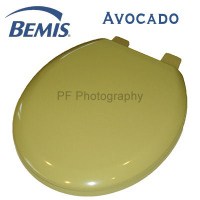 This seat manufactured by Bemis benefits from a Manufacturers Limited warranty against defects in material and workmanship.F ittings included. For use with Back to Wall Pans when purchasing suitbale well nut fittings. This seat is particularly good to suit back to wall pans when purchasing additional well nuts for fitting. A note about well nuts. 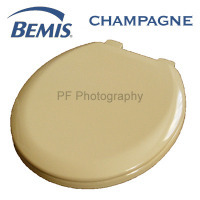 These are an alternative fitting arrangement if you are fitting to a toilet pan that does not allow access underneath to tighten screws. 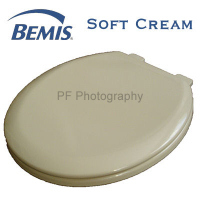 Typically these are used with back to wall toilet pans. this seat comes with a screw fitting pack for use with bottom access pans. Not sure about your colour choice? We do offer a colour match service so why not contact us before ordering and we would be happy to help.